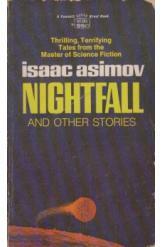 Nightfall And Other Stories by Isaac Asimov, Sci Fi. A collection of short science fiction stories by Isaac Asimov. Includes "Nightfall," "Green Patches," "Hostess," and seventeen others.